To cater to the diverse needs and demands of our clients, we follow a well-defined procedure. Our professionals are highly experienced and work in tandem with the clients to fulfill their exact requirements. 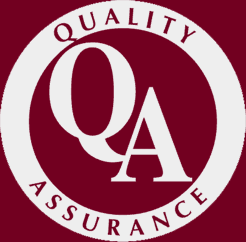 We also have qualified quality controllers, who conduct various tests to ensure the international quality standards of the products. Apart from this, we also provide customization facility for maximum benefits of our products. Moreover, we offer value-added services to our clients like installation and maintenance of the products for their proper functioning. Owing to all these factors, we have been able to develop a long term and cordial relationship with our clients, situated in the Indian Subcontinent.